R.L. Barclay & Associates places experienced professionals on a permanent, temp to hire, contract/project basis and retained searches in the Accounting, Finance, Human Resources, Engineering, Legal, Information Technology, Mortgage, Banking, Real Estate, Marketing, Sales, and Administrative industries. We have successfully recruited and placed experienced professionals in all of these areas as well as others. Whether you need to hire one professional or a whole team, we take the initiative to solve your hiring needs. We guarantee our services and offer competitive rates. At R.L. Barclay & Associates, our goal is not to be the largest or the fastest growing company; our goal is simply to be the best. While our experience and expertise is one part of our success, your satisfaction with our services and your referrals are what contribute to our daily success. Without our customers, our success would not be possible.  Our goal is to be your "go to" recruiting service for all of your staffing needs. Whether your needs are direct hire, temp-to-hire, or contract, we are your source for experienced professionals.